Tokyo is adapting its transport system to work better for for elderly and disabled travellers. In discussions on inclusion and opportunity – from healthcare and a living wage, to racism and poverty – one critical factor is often overlooked: access to affordable, sustainable, and efficient transportation. Whether it’s the high cost to purchase, maintain, and operate a private vehicle; or the absence of accessible, reliable, and affordable public transit; a significant proportion of low-income communities find transportation a major impediment to accessing employment, quality education, and healthcare. An inclusive system of mobility can help create greater opportunities for advancement for these populations while promoting the overall economic health of communities. It is becoming clear that a lack of affordable and efficient transportation has a substantial impact on personal finances and quality of life. In the US, the poorest third of households spend about 16% of their income on transportation, while the richest third spend about half that. One study notes that 12% of businesses surveyed said transportation prevented applicants from accepting jobs at their companies. The poor who live in suburbs often spend upwards of three to four hours a day commuting. One-third of parents in Washington D.C. said they would send their child to a better school if transportation improved. And an estimated 75% of infant mortality results from inadequate transport to basic health facilities and hospitals. In response to this mounting evidence, mobility is increasingly viewed as a human right. This is not an entirely new concept: the Universal Declaration of Human Rights, drawn up by the United Nations at its inception, marked freedom of movement as a core right. Today, however, there is a recognition that this concept can only truly be achieved by implementing universal basic mobility, even if more narrowly framed within the context of one’s community. To that end, many governments are starting to think differently about public transport and how lack of access is denying vulnerable populations – the poor, the elderly, and the disabled – of their basic needs and aspirations. For example, Tokyo is working to ease mobility for elderly and disabled in the transport system, looking to minimize such barriers as stairs and narrow doorways. Bangalore, where getting to a transit hub can be cumbersome and costly, has introduced low-cost supplemental buses to better connect low-income communities to major bus stations. In Mexico City, bus rapid transit is free for the disabled. And in Estonia, to give low-income populations a wider range in which to look for work, the entire country is now accessible by public bus for free. The governments who are having the biggest impact in tackling mobility issues are not doing it alone – they are enlisting the help of the private sector. Working together, they are coming up with unique and innovative ways to address limited access and boost inclusion. Some cities are subsidizing ride-sharing services as an effective way to address scarcity of transport for workers on night shifts. Other governments are working with technology companies to use real-time data to make bus routes more efficient and redirect the flow of public transit to the neighbourhoods that need it most. Blueprint for the Seamless Integrated Mobility system pilot region. Both the public and private sector must take a leadership role when it comes to the challenges of mobility, social inclusion, and sustainability. The World Economic Forum and Deloitte’s manifesto, Designing a Seamless Integrated Mobility System, outlined 10 principles that can jumpstart a public-private partnership approach to significantly advancing a city’s mobility system and the impact it delivers for its people. Identify and understand who the underserved populations are in the community and what mobility they have and what is missing. Based on this analysis, a broad range of specific use cases should be developed that test, shape, and validate the potential mobility solutions to serve different segments. As part of this, prioritization should be given to solutions that contribute to less congestion, cleaner air, greater livability, and more affordability. Collaboration among the private and public sector is critical. Governments will need to be willing to meet the private sector halfway in terms of control and data access to advance innovative mobility solutions. Governments need to continue fulfilling their responsibility to hold the private sector accountable through policy and regulation, as necessary. And all parties should communicate with the public – for both transparency and recognition purposes. It’s important for all parties involved here to understand the mutually beneficial opportunities to be had in a public-private mobility solution, taking into account the true value of services – such as the positive community impact that comes from greater accessibility. Also, large employers in a community looking to improve mobility for their workers can play a critical role in developing new tailored solutions. 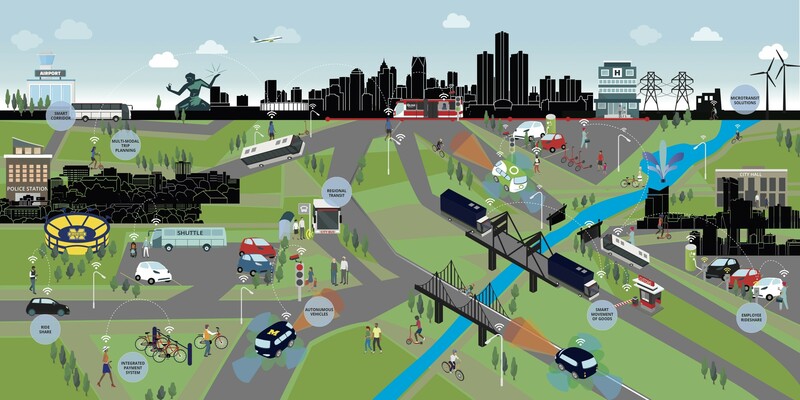 While new technologies have a role to play in effective and efficient transit systems, the basics should not be overlooked – functional infrastructure, adequate transportation supply, and safe systems. Be careful of becoming overly enamoured of technology. Remember, technology is there to enable solutions but is not the solution itself. With governments and the private sector working together to develop a seamless system of mobility, communities can make strides toward a more inclusive society. To be sure, mobility alone is not the cure for social and economic inequality, but it is a critical part of the journey.